Happy Friday & a big Happy Halloween! I feel so guilty when I can’t participate in one of Beate’s wsc. I made it a high priority this week to get my sample done early. Needless to say, I finished early with the wrong sketch (last weeks). After trick-or-treating last night, I got started on the correct sketch…which means I now have two sketch samples to share. 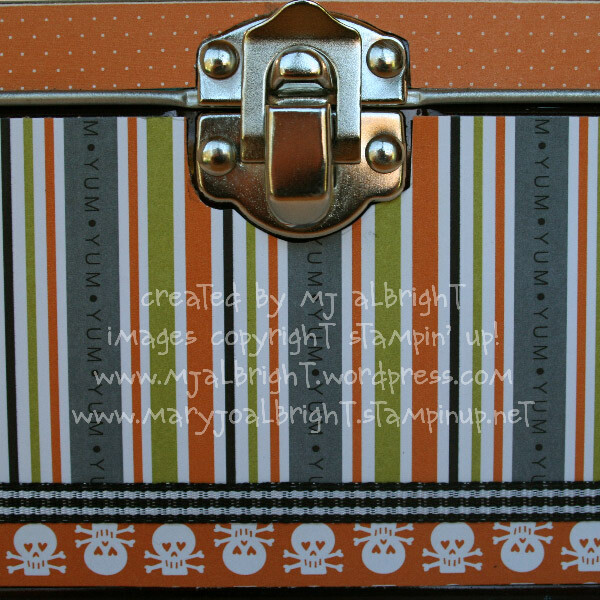 You will definitely need to use your Stamp-a-ma-jig tool if you choose to case. That was really the only time consuming feature of this card. 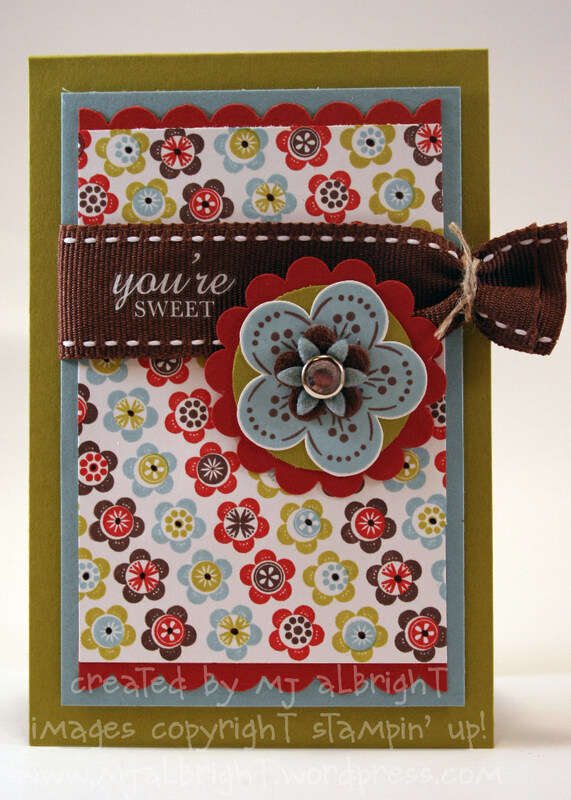 Once I finished stamping the flowers on my Whisper White cardstock, the rest of the card was really easy to complete. The sentiment is from Chateau Bella Rub-ons. I used some felt flowers to the middle of my stamped flower with a rhinestone brad from the Pretties Kit. This is not a card that I would have guests create at a workshop. It would be displayed along with all my other cards. Below is a similar card that I did have at a workshop this week for a bunch of my Harrisburg Hospital/Pinnacle Health co-workers that is rather easy (OMW..I had my first male guest at this workshop and he did a fabulous job). Hold on to your seats…. 23 ghostly pics and some tasty treats! I gave my presentation yesterday to fellow Stampin’ Up! Demos (not sure of the count, but there were “many” at Janet Wakelands Meeting. I would guess over 100 + guests). I was only nervous for the first few minutes. Once I started chatting about what it is I love, it all pretty much was smooth sailing and I was very comfortable sharing my thoughts, ideas, and tips. I had a wonderful time. Everyone was so nice. My presentation was for the upcoming Halloween holiday. 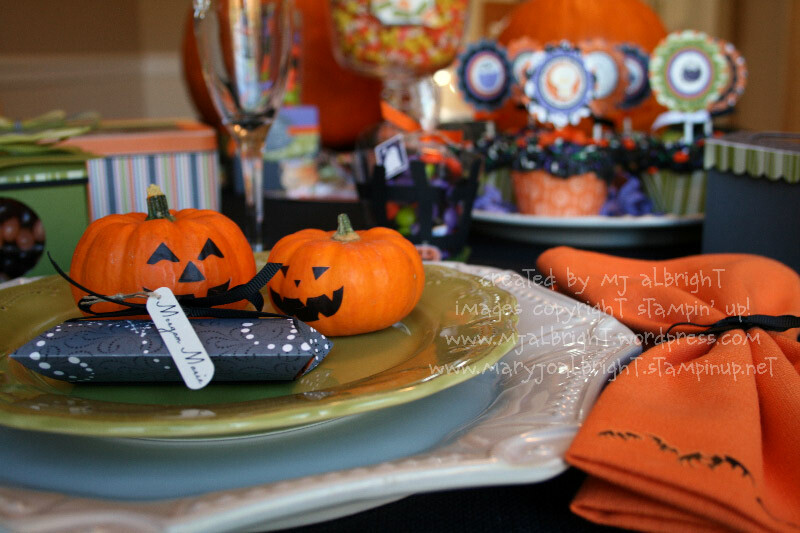 I showcased a table setting and how you can easily use the ideas for upcoming holidays that are right around the corner. 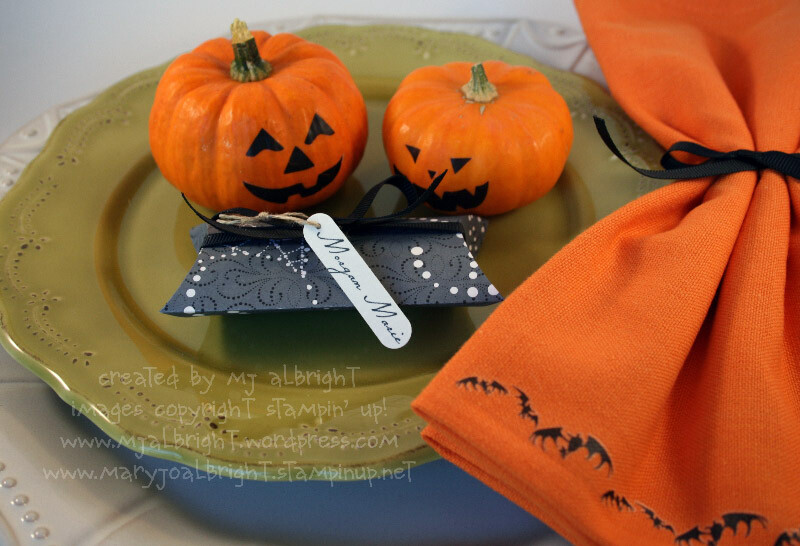 Other tips: keep a place setting displayed at one seat in your dining room that way family, guests, and customers can see it; great decoration/display; make the smaller 3-D gifts as Hostess gifts. 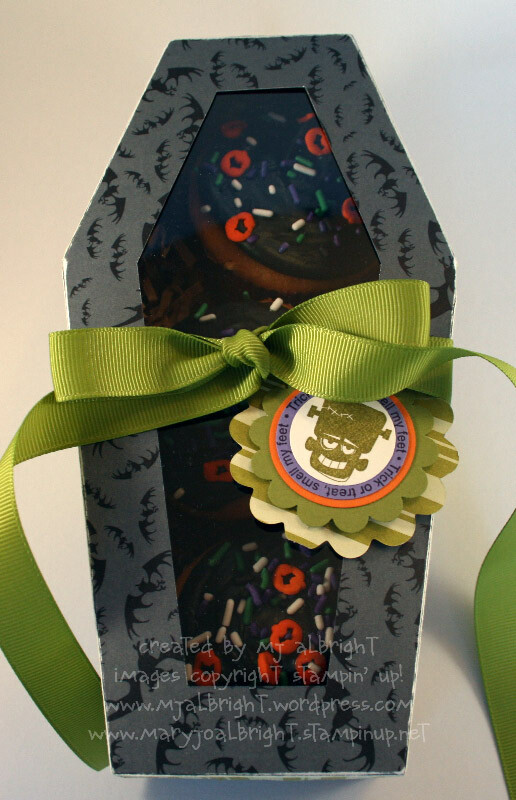 The main place setting is rather simple, but displays on a Pillow Box the name of the guest (created with SU! Write Me a Memory Journaling Fonts CD, Vol. II). Look how much the Chills & Thrills Rub-ons add to the presentation….and so quick and easy. Plates & Linen Napkin purchased from Pier 1. First, I think this pic is funny..you can see me taking the pic in the glass lol. I always look for this in pics and think it is fun to see things that we aren’t supposed to see. Again, all I did was added a Rub-on. I took a hat pin from the Pretties Kit and bent it with pliars (I still can’t find my Crafters’ Tool Kit lol and Ethan won’t give up any clues to where it is hidden). 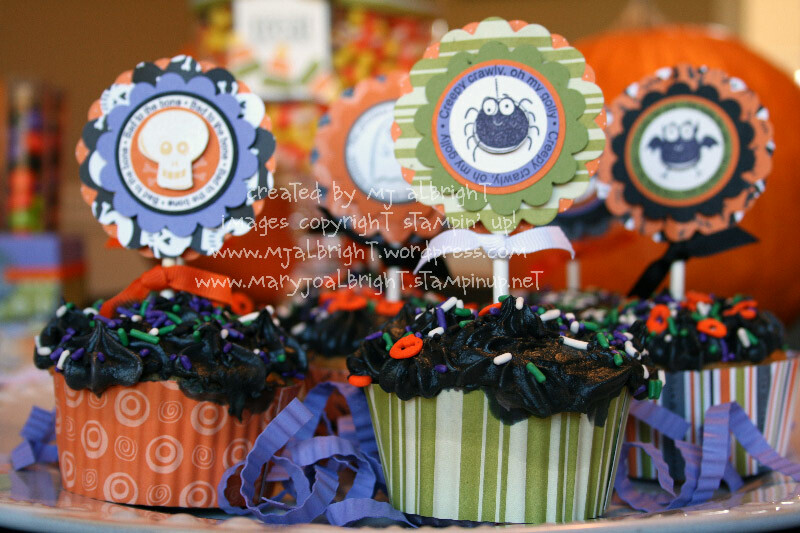 The decorated lollypop sticks in the cupcakes were created with the SCRAPS I had from using the Pennant Die. I used Batty for You stamp set. 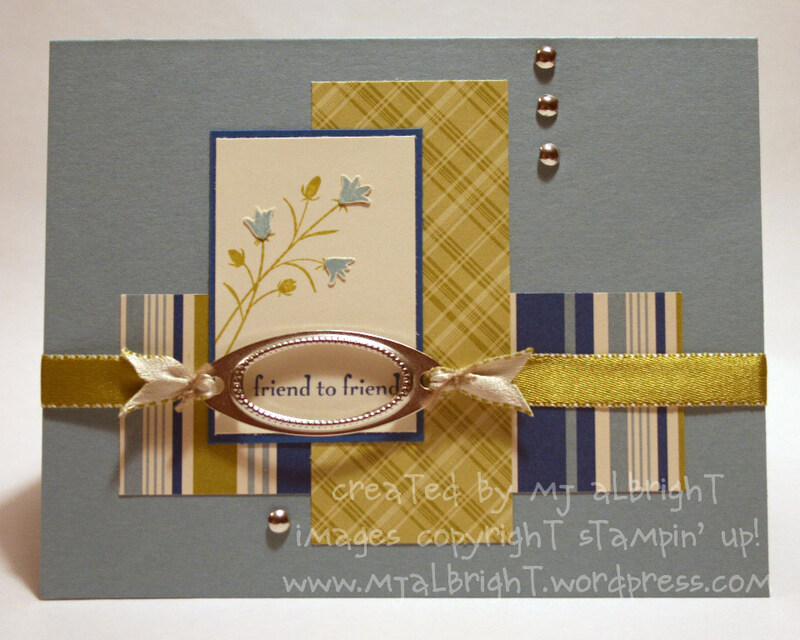 I added dimension to all of the stamped images by cutting and using a Stampin’ Dimensional or Mini Glue Dot. 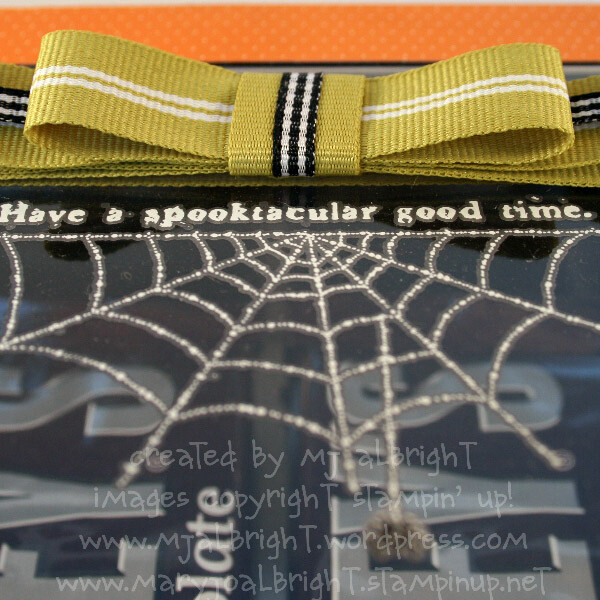 Used either Pumpkin Pie, Whisper White, or Basic Black 1/4″ Grosgrain Ribbon. 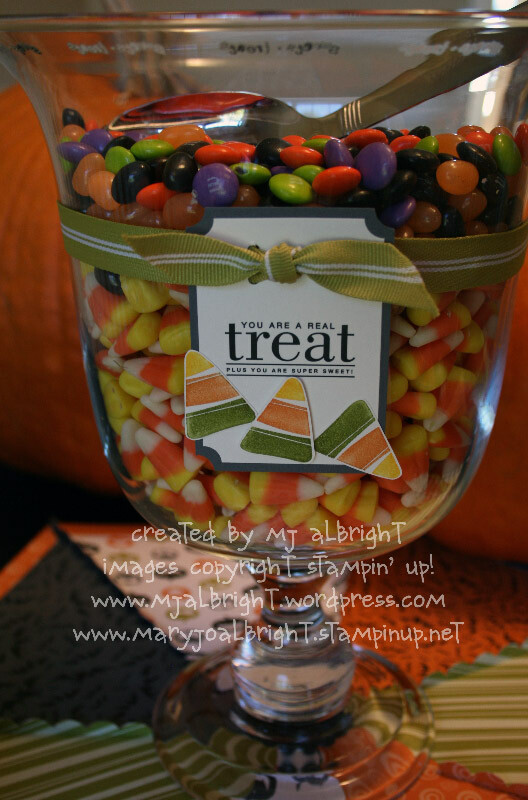 The centerpiece is from The White Barn Candle Co. that I filled with an assortment of candies, added more Rub-ons to the upper rim that states “sweets-treats”, and wrapped some Kiwi Kiss 5/8″ Striped Grosgrain Ribbon around it to hold my tag. 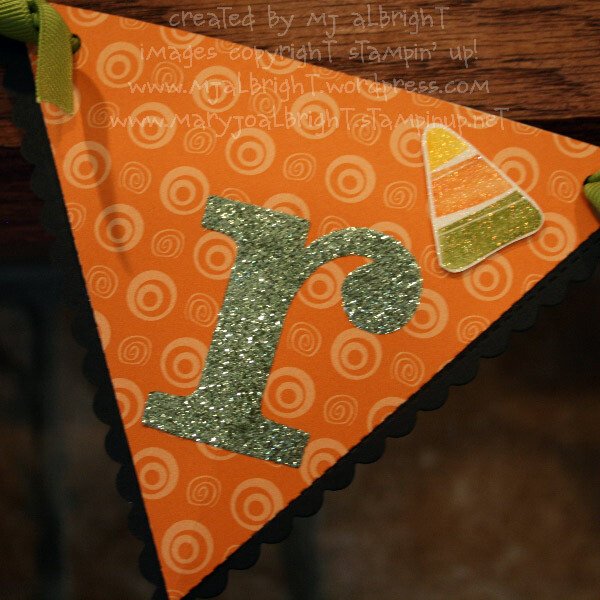 The tag also features a rub-on and stamped candy corn from the Tasty Sweet Stamp set. I used my Ticket Corner Punch and Horizontal Slot punch. 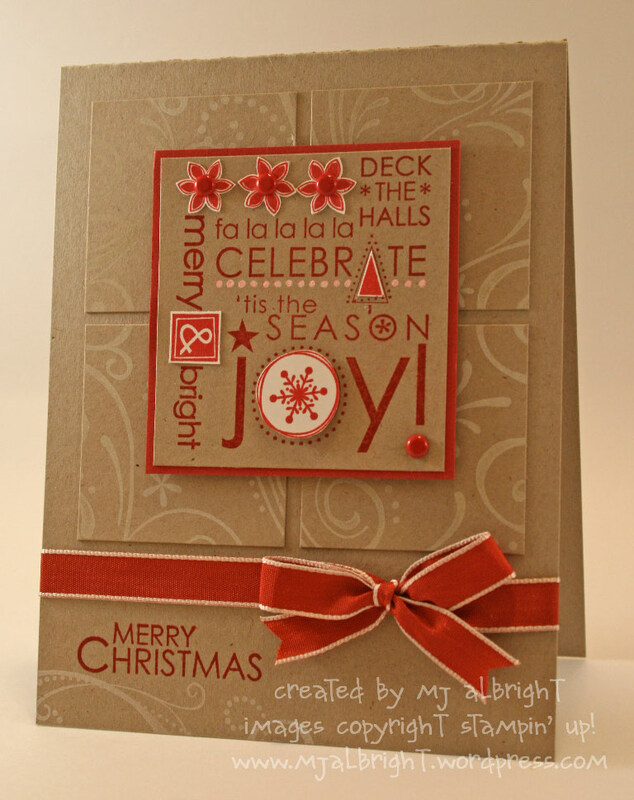 This was created with the Scallop Envelope Bigz Die box that I’ve been seeing a lot of lately. I needed to find a way to personalize it with my own style. I made the outer envelope box and created another box out of Lovely Lilac 12×12 cardstock that was 1/8″ smaller to fit inside. You have to punch or cut out the top holes before adhering the box together. 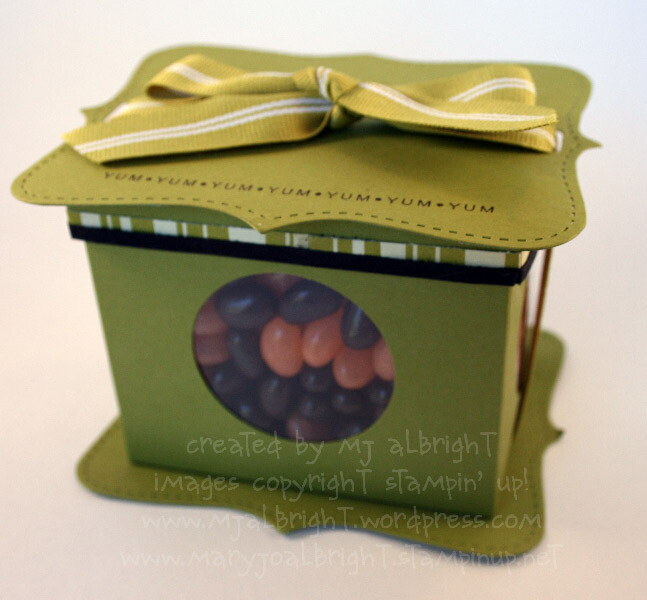 I inserted the box upside down into the outer box so it could hold the specimen tubes (martha stewart) filled with yummy M&M’s. 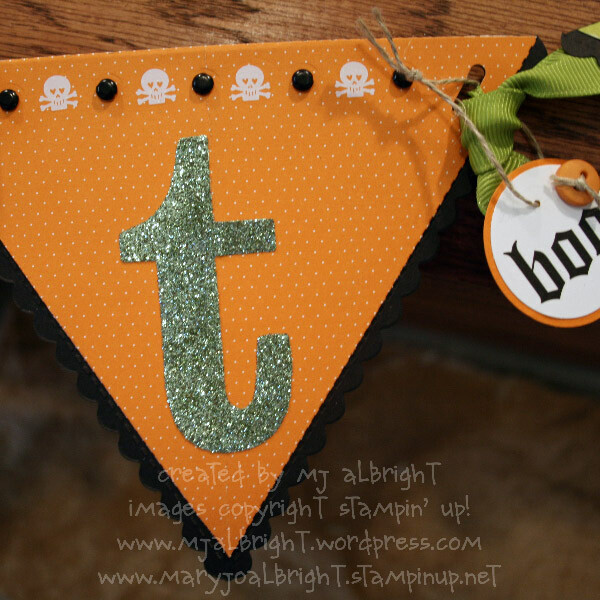 Again, Rub-ons for the sentiment and used Haunting Halloween Stamp set. This is a Top Note Treat Box that you may have seen recently in the Artisan Gallery. This one is a really quick verson (no hand stitching to all the perferations lol). 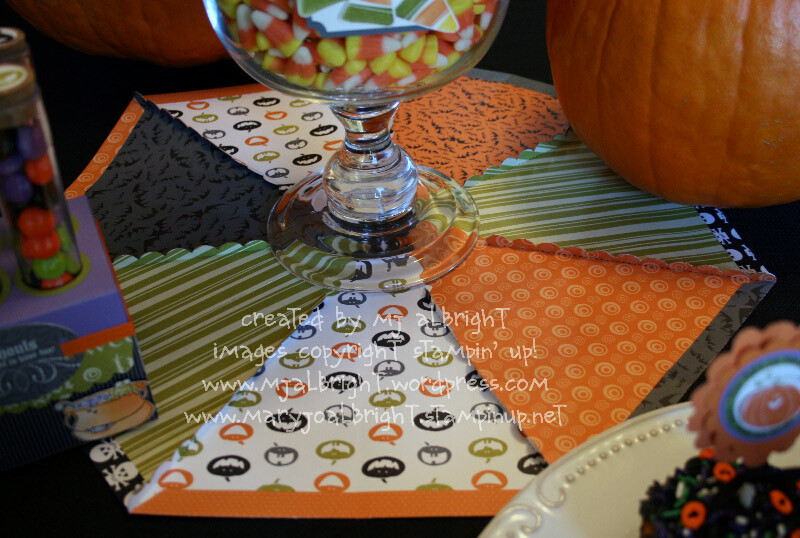 The Yum stamped horizontal line is from Tasty Sweet Stamp set. You basically create a box of whatever size you need (paying attention that it must be smaller than the top note die but can be whatever height). You have to use your Horizontal Slot punch to the top Top Note Die before adhering to box lid and make sure your punched slot is not far in or you will be able to see box lid and ribbon won’t thread through nicely. Before you can attach box to bottom Top Note Die, you have to run your ribbon between the two. Use your Sticky Strip all over this on. Optional step is to add the 1-3/4″ Circle Punch windows to the sides of your box. This is probably the most ghostly creation of them all. But, it does hold some cupcakes to make it not so haunted after all. Base made from Basic Gray Cardstock. Lid made from Ghostly Greetings DSP. Created a window so you can see what is inside. Wrapped some 5/8″ Grosgrain Ribbon and a tag that is the same as the cupcake toppers so it would coordinate. Almost done:) Just a few more to share. 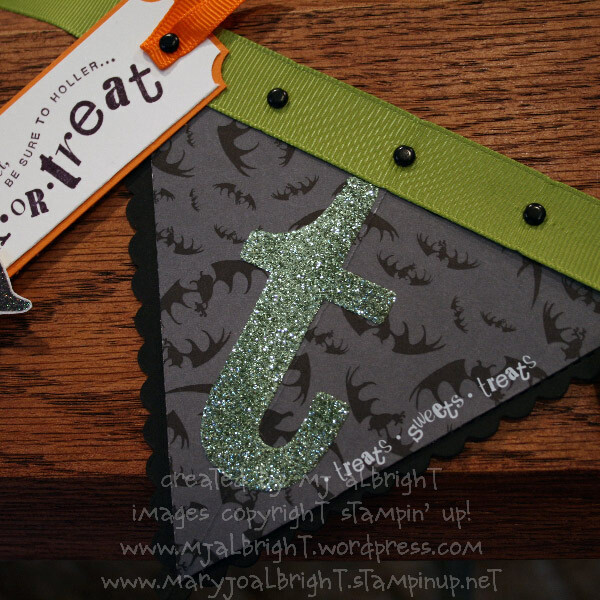 The next series of pics are of my friendly pennant that simply states “treats”. 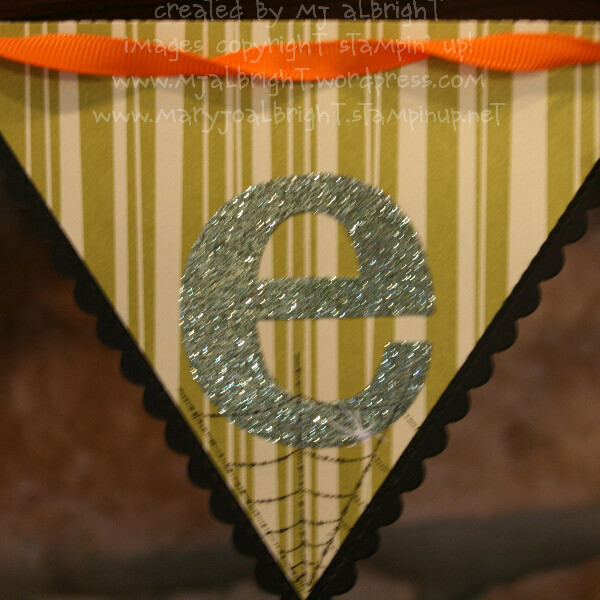 I used Sticky Cuts Letters and Fine Cosmo Celery Glitter for the letters. 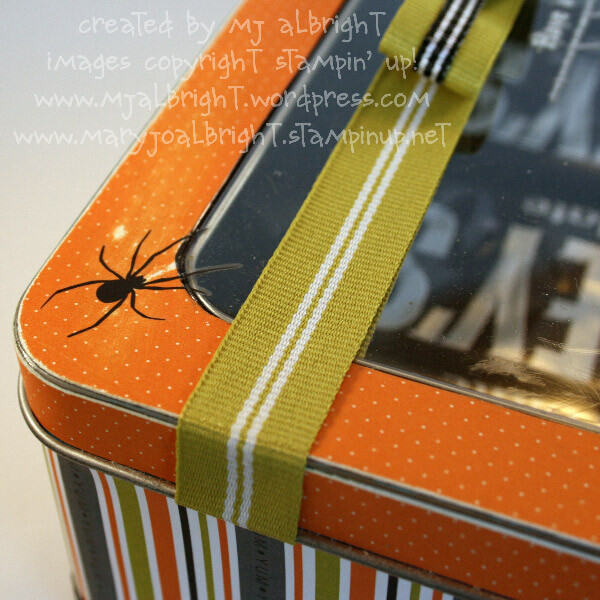 Last but not least… What are you doing with your Punch Box/Bundle tins? I have quite a few of these and wanted to find a use for them. Hershey Bars came to mind (any reason to take a trip to Hershey and visit Chocolate World to purchase some “Fresh” candy bars). 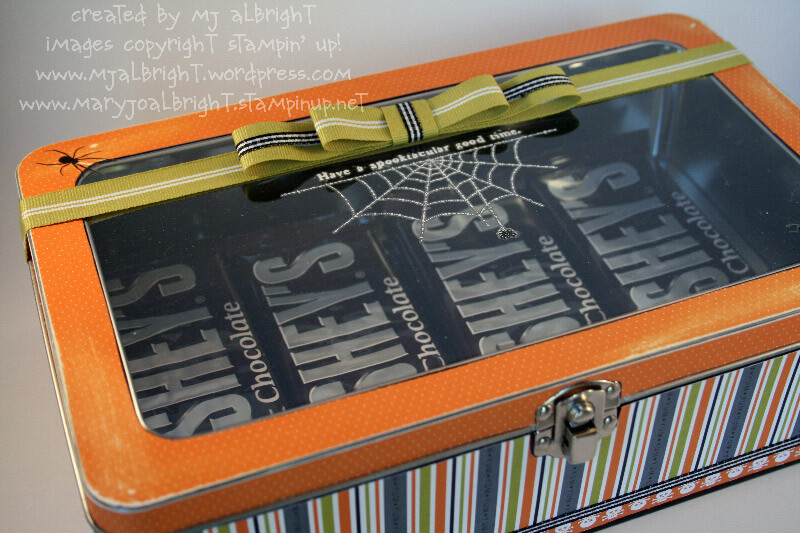 This box holds MANY candy bars…More than 40. So you have a blue tin. All I did was used a Sharpy marker to all parts that may be visible. Also, if you sand the patterned paper into the metal material of the tin, the blue comes off and the paper holds better. How to cut your patterned paper to match up perfectly with the tin details……vellum my friend (or tracing paper). I’m taking a week off from stamping to spend time with my family. I gave up going places with them lately so I could make projects and meet deadlines and I’m feeling really bad about that. All I ask is if you have questions regarding templates, please give me a week before your requests:) I hope you find inspiration with this long post of pics. 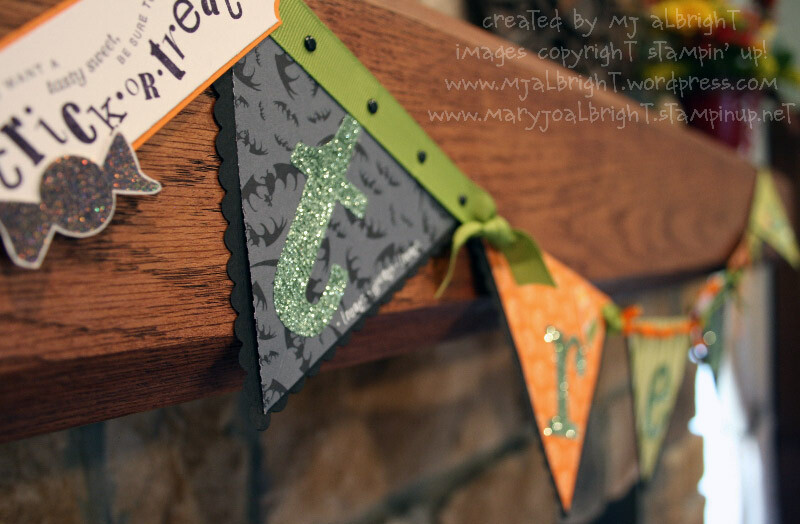 Remember the bold areas and how you can transition these ideas right into the next holiday. I have to work night shift tonight, so I think I should say goodbye for now and will be back in one week. Honestly, took about 20 minutes to make this one. I think I may post a revision next week with more details/features lol. Gasp…I even cut the ribbon a little wacky:) at the top. I’m seeing a lot of black and white cards lately, so I gave it a try with a splash of pink. Thanks for stopping by and I hope you have a relaxing, wonderful weekend! I have to confess that I’m a rather shy person until I get to know someone. When I was asked by Janet Wakeland if I wanted to be a guest speaker at one of her group meetings, I took a moment to think it over and get over any fears that I may have with speaking in front of a crowd, and replied with a YES! My presentation with focus on how to add “those little special touches & wow features” to your creations and info regarding Stampin’ Up! contest entries. Space is filling – reserve your seat today. You are invited to join fellow RemARKable Stampers and Stampin’UP! demonstrators at amazing event. 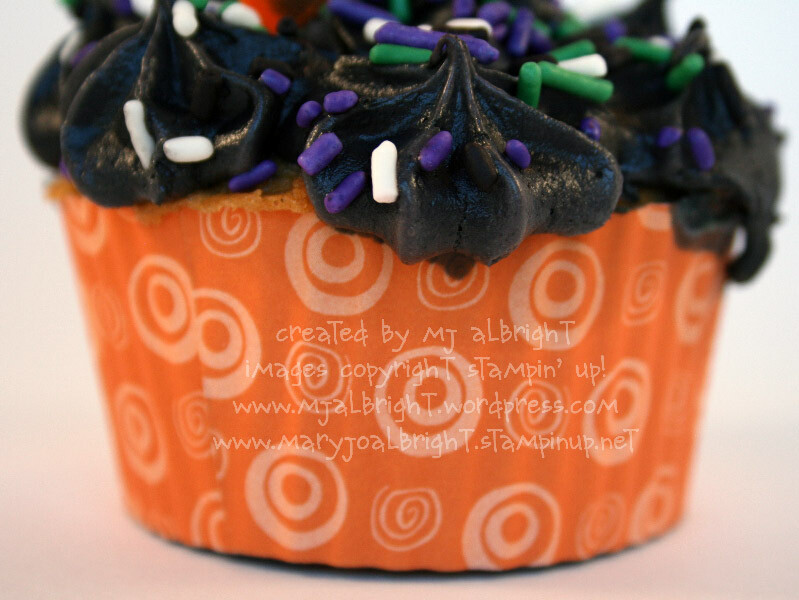 Our October event is themed around TREATS – ideas for packing and giving treats – small gifts, candies and more. In addition our meeting will feature Mary Jo Albright 2 time Artisan Award winner. 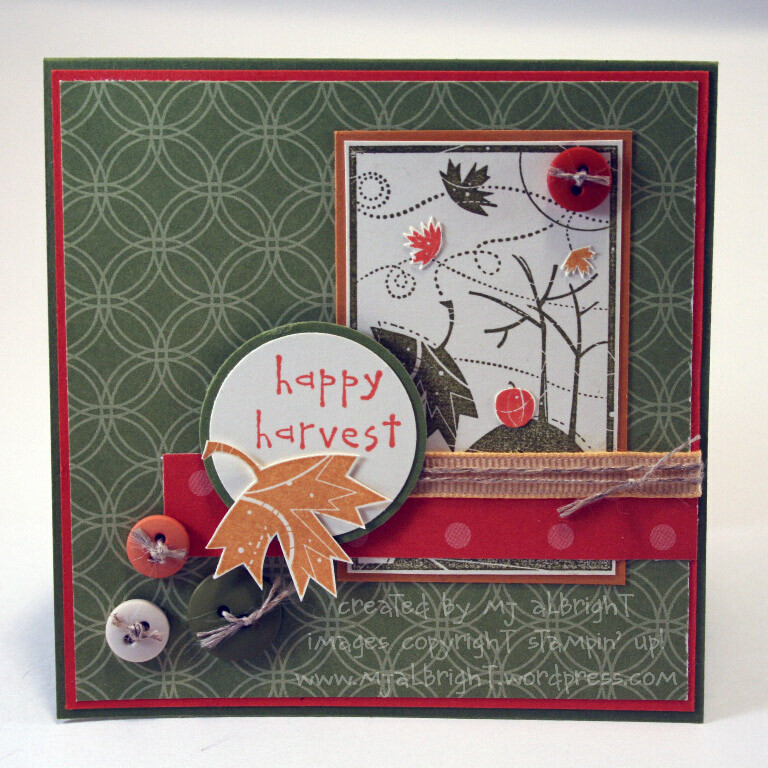 And lastly we will focus on Going green – with the Organic Stampers. It is going to be one REMARKABLE day – register today via the link below. *We will provide treats but please bring a lite sack lunch if you need to eat something substantial. 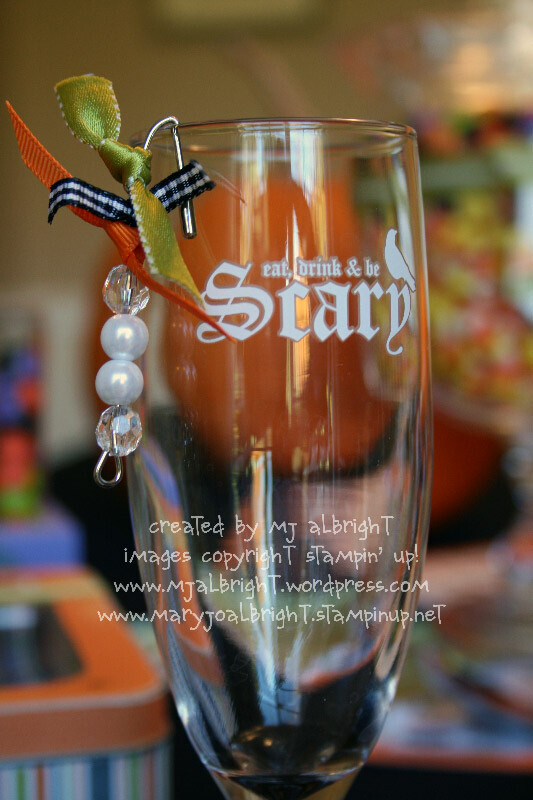 *Cost is $20 until October 10th – after October 12th Cost is $25. *Event is open to all demonstrators and guests and cost is the same for all. *Make n’ takes will feature projects that reflect our theme – you will need a trimmer, bone folder, snips and adhesive (sticky strip and snail) Number of make n’takes based on number of tables we fill – more attendees = more make n’takes!!! Treat holders for gift cards, for candy, for gifts.. some feature the Big SHOT – come join us. 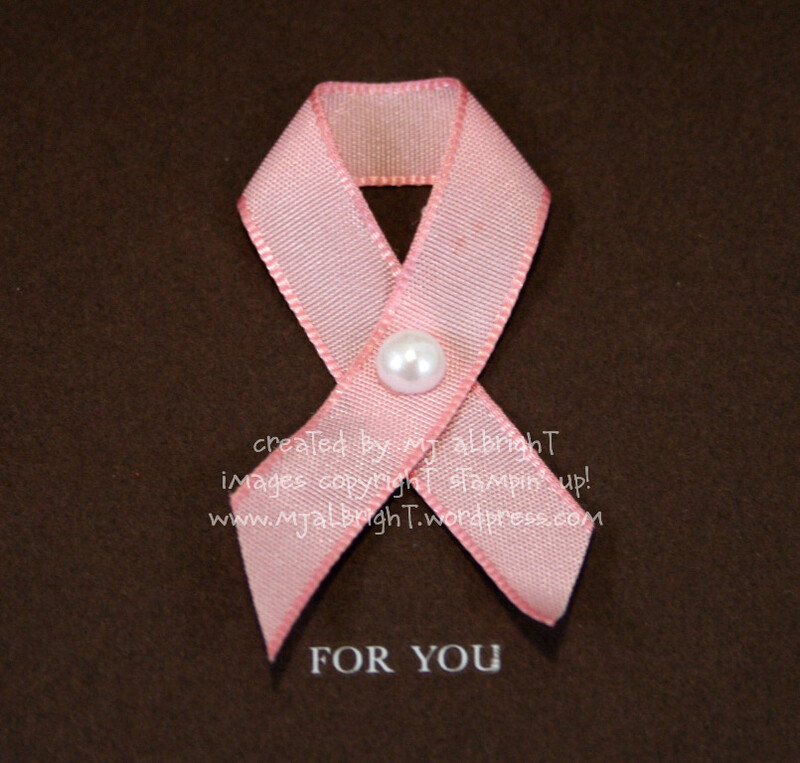 Accessorize – Accessories are the Treat of life – Use ribbon, brads, glitter, etc – add at least one accessory to your card front. Plan to make 30-40 swaps – full size card fronts. *PLEASE CURRENT MATERIALS ONLY – no retired DSP, cardstock, ribbon, etc. Only use materials we can order from the Holiday Mini or Big Idea book and Catalog. 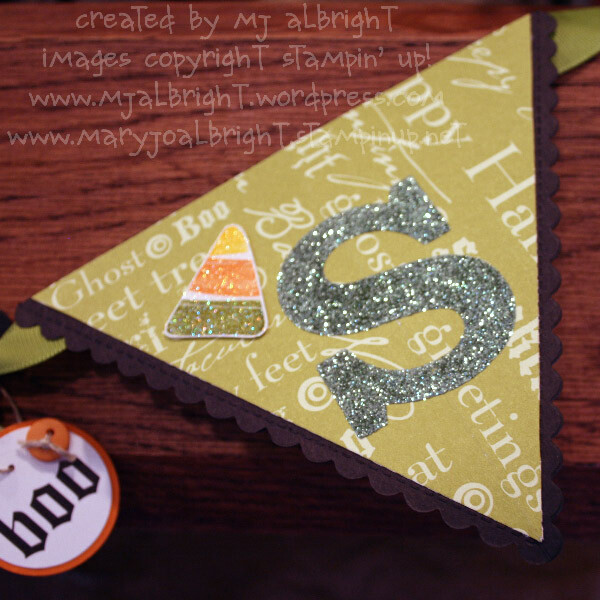 Plan to make 3 extra swap cards – 1 for display, 1 for SU wow art file and 1 for Mary Jo! SHOW n ‘SHARE – receive 1 door prize ticket for each item you bring to share – consider our Going Green theme and bring projects you have created by recycling something fun – pringles cans, fruit cans, toilet paper rolls, etc. RemARKable Stampers in all levels may invite their teams – remember this event is open to all demonstrators. Here is my card that I made for Taylor’s cupcake challenge. You don’t have to use cupcakes to participate in the challenges:) I decided to go Christmas with this one as I have to get started here soon making holiday cards. I really like this one! The simplicity of the Kraft cardstock really makes the Riding Hood Red stand out. And there are so many possibilities with the center stamped image. Jami Sibley, Monika Davis, Sherrie Siemens, Ana Wohlfahrt, Vicki Chrisman, and Stephanie Hargis. Last Fridays featured cupcake sampler was Frances blogging at Stamp Owl’s Studio…make sure you check out her creation…she does amazing work! CARDSTOCK: Kraft, Whisper White, and Riding Hood Red. INKS: Riding Hood Red Classic Stampin Pad; Whisper White Craft; uni-ball Signo White gel pen. 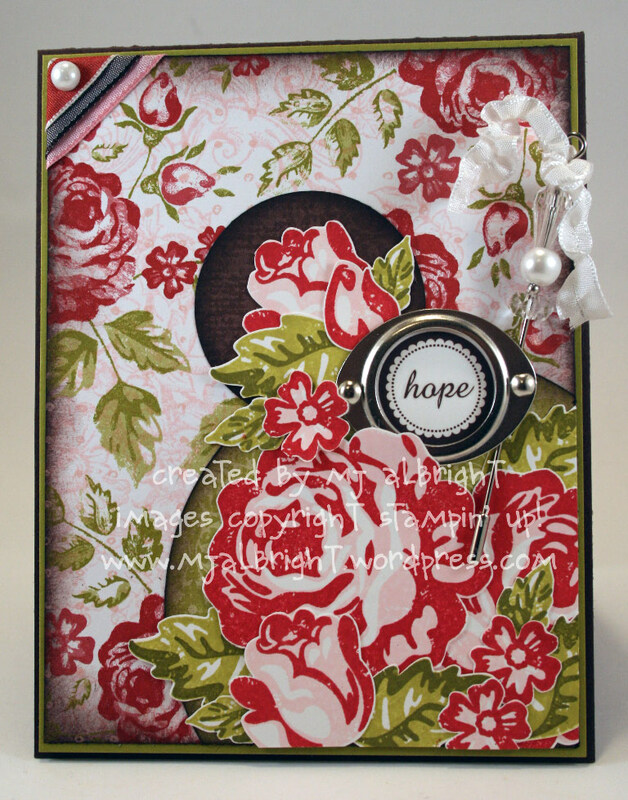 ACCESSORIES: Riding Hood Red Tafetta Ribbon; Bold Brights Brads Assortment (real red); Stampin’ Dimensionals.